I've been wanting to try Samsung Galaxy S series and I was looking forward for the official announcement of Galaxy S5 at MWC 2014. I was prepared to switch from LG to Samsung on my next upgrade until the official announcement happened. Although it has several interesting features such as waterproof, dust resistant, fingerscan, heart-rate detector and 16MP camera, I feel cheated when it didn't met most of my expectations. So what do S5 lack of? I can name three (3) now. Design. It is still plastic and it just look like S4. It was like an upgrade from iPhone 4 to iPhone 5 but more disappointing. Mediocre battery. A 2800mAh battery is not an improvement. 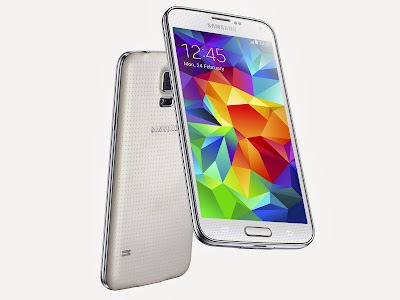 I expect Samsung Galaxy S5 to surpass the mighty LG G2 3000mAh battery. Inferior Camera. Should I explain Z1's 20.7-megapixel camera? These are my initial impressions about the announced specs and I might still retract my disliking over Samsung Galaxy S5 when I get my hands on it. For now, I'll hold on to my LG G2 and maybe wait for LG G3 official release.